The lime oil power cleaner from Sodasan uses citrus fruits to those remove tough stains where all-purpose cleaner is not enough. With an eco-guarantee, the cleaner is made with plant-based surfactants and is free from synthetic dyes and preservatives, as well as palm oil. It is cruelty free and suitable for vegans and can be used on clothing, upholstery, carpets and all surfaces that can be wiped. Works well to remove make-up, pen ink, chewing gum, fats, resins and adhesive residues. Do not use on bloodstains. Concentrated application: apply the product directly on the stain or soiling and allow to take effect briefly. Wipe or rinse with lots of water afterwards. Diluted application: 5-20 ml to 5 litres of water will yield opaque wiping water for application on larger areas. The Sodasan Lime Oil Power Cleaner - 250ml product ethics are indicated below. To learn more about these product ethics and to see related products, follow the links below. 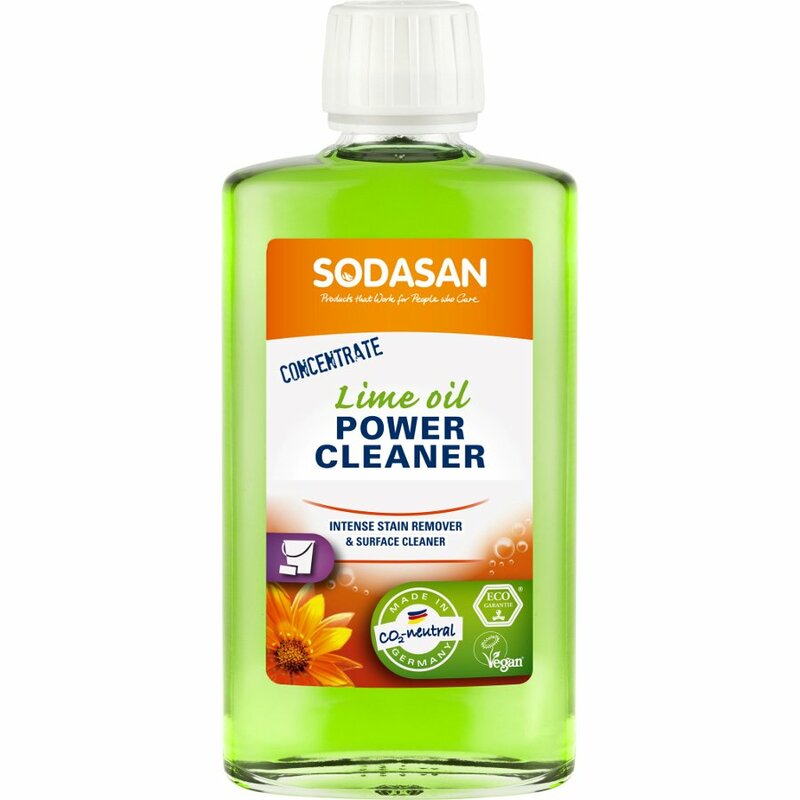 There are currently no questions to display about Sodasan Lime Oil Power Cleaner - 250ml. SODASAN believe that environmentally-friendly detergents and cleaning agents should also be attractive to people who were used to dealing with ordinary industrial products. For their entire energy needs and the associated CO2 emissions, they finance the reforestation of forests so that the company works in a carbon-neutral manner. With SODASAN products you can achieve great cleaning results with significantly reduced environmental impact, fairly traded ingredients, and without any synthetic preservatives or fragrances.